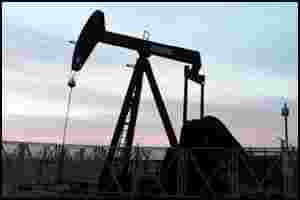 London: Oil slipped on Thursday, with Brent snapping a six-day rally, after trade data from China pointed to slower demand in the world’s second-largest oil consumer. By 4:08pm, Brent crude for November was down $1.20 to $110.16 a barrel. US crude fell $1.34 to $84.23. China, the pillar of global oil demand growth, saw its September crude oil imports fall 12.2% on a daily basis from a record high rate a year earlier. Demand remained below a 5.0 million bpd mark for the fourth consecutive month. This came despite analysts’ expectations of a gain in demand as new refineries opened and some units restarted after scheduled maintenance. “The fall in crude imports could be attributed to either weak demand or a draw down in inventories," said Brynjar Bustnes, J.P. Morgan analyst in Hong Kong. “We can wait for the inventory data for September, but I’m leaning towards weak demand," he said, noting that oil product imports also fell in September. Brent turned negative and US crude started falling more sharply following a monthly report from the European Central Bank, which said forcing private bondholders to accept losses on euro zone sovereign debt could damage the reputation of the euro, hurt the bloc’s banks and encourage volatility on foreign exchange markets. Thorbj’rn Bak Jensen, oil market analyst with Global Risk Management in Denmark, said the fall in Brent crude prices was limited by the slow comeback of Libyan crude to the market, while US crude was under short-term pressure ahead of the release of the weekly oil figures. US government’s Energy Information Administration (EIA) will release oil inventories data for the week to 7 October, which is expected to show a build in crude inventories as imports rebounded and refinery utilization rates fell. Brent’s premium to US crude stayed at above $26 a barrel, the highest since early September. The spread widened following a decision on Tuesday by the Dow Jones-UBS Commodity Index , which had some $80 billion in tracking funds at the middle of the year, to add Brent as a component in 2012.